Updates to Tana's profile since your last visit are highlighted in yellow. Ms. Pigford was the best. Mr. Bowden was fun. LC Jones (I got to leave school and run errands) Mr. & Mrs. Burroughs. Too many to write about. The weekends were the best (Lake Artesia, Fran/Dawn's house, Topsail Beach) The football/basketball games were fun. Softball was great. Cheerleading camp. NC. We have been to a lot playing softball! Love the site! Thanks Pam! Tana Batts Herring has a birthday today. 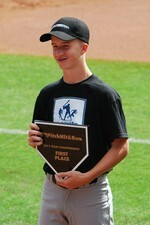 Gavin is Major League Baseball Pitch, Hit, and Run Atlanta Braves team Champion for the 13/14 year old division for 2011!!! Way to go Gav!!! 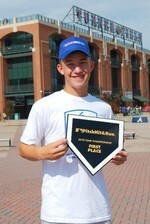 Emmitt is Major League Baseball Pitch, Hit, and Run Atlanta Braves team Champion for the 13/14 year old division for 2010!!! Way to go E!!! Our 2010 W-RH State Champions!! Dijon, Emmitt, Nick, and BK...... proud of our Freshman!